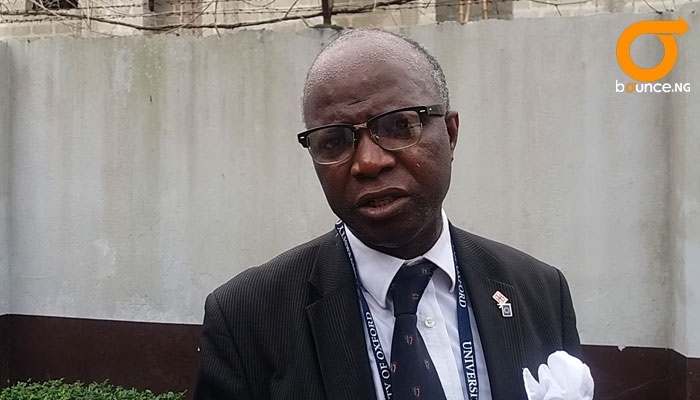 There is a required level of patience that parents need to exhibit to bring out the best in the child, Professor Chris Imafidon has said. They have been called imbecile, retards and demon possessed just because they are autistic. Some parents even curse the day they gave birth to them. But there is one man who has walked that path and he says it's a gift. Professor Chris Imafidon has devoted his time to bringing out the best in autistic children and he has amazing results to show. He was once autistic, but he has a family considered to be the brainiest in Britain. The ophthalmologist wants families with autistic children to know that autism requires patience. 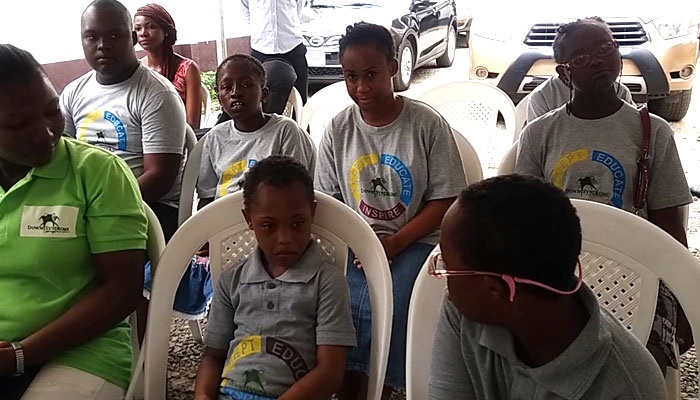 You could feel the reaction of parents, teachers and autistic children that had gathered at Remi Fami-Kayode Street, in Ikeja area of Lagos State, for an event organised by Child Dignity Foundation, established by Mrs Amaka Awogu. They were all amazed to know Professor Imafidon was autistic. He said his gift and achievements have led him to meet with the Queen of England, prime ministers, presidents and top government officials. He believes every child on earth is a great person and should not be abandoned because of physical challenges. His belief could be seen in one of the autistic children present at the event who led the prayer session. Her voice was melodious, she could lead a praise and worship session in a church and she surely loves music. Here are some strategies that Professor Imafidon says can help turn an autistic child to a world wonder. 1. Find a mentor - That is the first thing. If you don’t have a mentor, you won’t be doing as well as you need to. The child need that constant reminder that the objective is realistic and achievable. 2. Parents must become extreme optimists - If you think your child is useless, you can’t do anything to change the child. If you cannot change your mind then there is no need to attempt this journey. 3. Find the modality - Information is available on the internet and you have the power to choose. Stop reading about how to manage the situation like it's an ailment. Focus on how to improve the child's strenghts. 4. Parent must appreciate myths about learning - Do not force your child to be like all the others. School work is school work but the reality outside school is much different. "What we are giving them in school now was designed in 1440 by the victorious. For goodness sake, we need to update it. Don’t use it to judge them." 5. Music - "They say music is extra-curricular. It is somebody that has lost his mind that says that. Music must be core. "Every biological daughter or son that I have plays at least 3 instruments. One string instrument, one wind instrument and the vocal at the very list." Music is life itself - without music human would be dead. 6. Get modules - If someone has made the journey before, find out how the person did it and replicate it. That is the new thinking, if you want to get geniuses out of our children. The professor also gave a few suggestions about what schools could do to also make learning fun for children. 1. Use specific materials meant for each child. 2. Children should not be put in forms according to father’s last name. Assess the children based on what they understand better – auditory, visuals, Kinaesthetic and place them in different classes based on that. He believes that when things are done right, everyone will be educated. "The government is asleep", he said, condemning a situation where only one school for autistic children exists in Lagos. "The children belong to the government, but if provision was not made for the education of children that are autistic, there are chances that they will take up crime in the future,” he told reporters after the event. He stressed that he has never seen a medical doctor that would finish his work in a hospital and get involved in robbery. "No child is born a criminal. He or she is made criminals by our defective nurturing that we call education. "Those in governance should share a little bit of parental instinct towards children that are not their biological children," he stressed. The man, whose Excellence In Education programme has brought out the best in children, who derive fun in learning, recommended a properly structured education system that will identify every child’s ability and channel resources to developing it. On her part, one of the organisers of the event, Amaka Awogu, said it is not right for children with autism to be abandoned to fate. She advised parents and state authorities to pay more attention to children and invest more in impronving the standards of education across the country.